Congratulations on making the decision to remodel your outdated kitchen! Before you start lining up the first kitchen remodeling company that catches your eye in a quick Google search, it is important to realize that kitchen remodels take strategy, commitment, and patience. 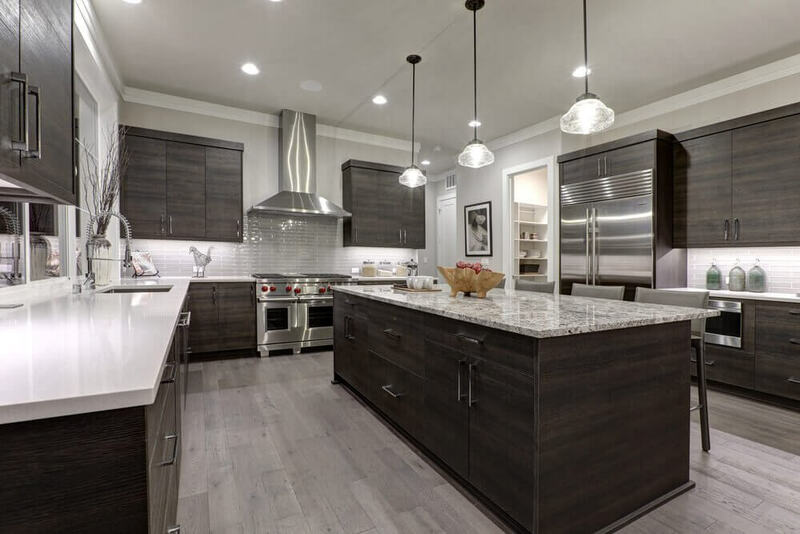 The right kitchen remodeling company will know the requirements necessary to carefully plan and execute your vision for your space with minimal stress. What is your company history? It is essential to confirm whether a kitchen remodeling company has any recent, relevant experience. Always ask for a list of local references, especially those clients that have had kitchen projects similar in scope to yours. Do not be shy about making phone calls or site visits to view sample work. Ask other customers questions about their experiences dealing with this particular kitchen remodeling company and their satisfaction with the final product. Unfortunately, merely seeing the words “licensed and insured” on a kitchen remodeling contractor’s website or business card is not always enough. We recommend checking in with your local building department to confirm if a specific kitchen remodeling contractor’s license is up-to-date. Also, verify a prospective kitchen remodeling company’s insurance and bonding to ensure that if they perform substandard work, or leave you in a difficult position, you have coverage. Viewing these certificates of insurance will give you peace of mind before moving forward with the relationship. Do you keep up with the latest kitchen technology and design trends? Staying on top of the latest styles and trends is crucial in the kitchen remodeling space. As such, the remodeling company you select should be incorporating some of the many state-of-the-art technologies available on the market today, and be able to work to help you get the most value for your investment. Talk to prospective remodelers about how they stay on top of current kitchen design trends. How will you manage my kitchen remodel? Is there a project manager who supervises all team members assigned to your project? How many jobs does this individual monitor daily? In some smaller-sized companies, for example, the person who manages the construction is also responsible for sales, overseeing sub-contractors, estimating projects, and more. This scenario can be overwhelming and leave little time for regular on-site management. Your project manager should be able to commit to regularly scheduled meetings with you throughout the design and construction process to discuss progress updates, timeline, or any other issues. What is the timeline for project completion? Some kitchen remodeling companies offer a minimum warranty for their work, often equivalent to approximately one year. Other contractors provide longer terms for their warranties, while still others sell extended warranties. Before you sign a contract, make sure you understand the warranty terms completely. How will any additional charges be handled? Kitchen remodeling can be unpredictable sometimes, and once a project is underway, it is possible that a couple of obstacles will arise that increase the initial estimate. It is imperative that your kitchen remodeling company be clear that it will not spend a penny over your agreed-upon budget without receiving your approval. Get this agreement in writing before officially moving forward with plans and construction. Are you ready to transform your kitchen into your dream kitchen? Contact Republic West Remodeling today for the highest quality luxury kitchen remodeling. We serve the Scottsdale and Phoenix communities. Call (480) 428-2695 today for your complimentary consultation.